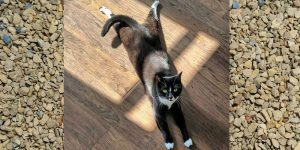 Is your cat guilty of splooting? Discover what this goofy habit is. Share a pic of your cat splooting int he comments below.